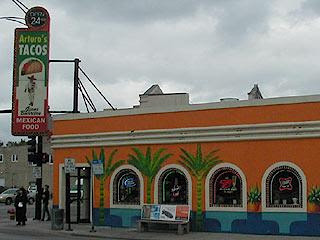 Arturo's Tacos Chicago - SAVE YOUR MONEY! Let me start off by saying I USED to LOVE this place! It is located right at the corner of Armitage and Western in Chicago,IL. 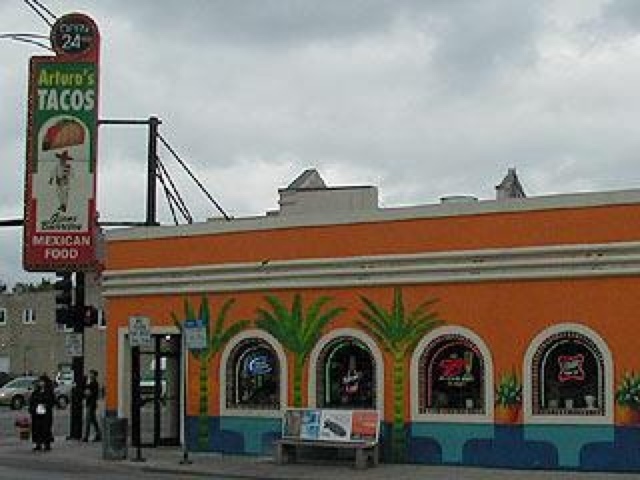 Their tacos used to be delicious and I was always a satisfied customer but after visiting today for the first time in 9 months I can honestly say i will NEVER visit this place again! I ordered a taco dinner which came with 3 tacos a side of rice and refried beans. Let me start with the tacos. I requested them to be steak or carne asada the steak was GREASY! The greasiest steak I've ever tasted! It was almost like it was left over and reheated. I also think they changed the quality of steak because it tasted cheap! The rice was good but not fresh either and the beans were good but again not very warm. The waitress was nice but didn't even bring us water! Its kind of rude to look at the next table and see everyone with a glass of water before they order! That really pissed me off! My husband was going to tip her but they don't allow tips on a credit or debit card and nowadays who carries cash?? On a scale of 1 to 10 1 being the absolute worst I rate them a 1. If you can save your money and avoid this place please do! Its totally not worth the time or money!